Pride of Ownership shines in this Immaculately cared for Colonial located at the end of a desirable cul-de-sac.Professionally landscaped gardens, brick walkways, , granite entries.Views from the back of the home overlook the expansive back yard bordered by rock walls and conservation/Town land beyond. Enjoy home ownership with low maintenance composite clapboards, trims, newer roof and windows.This home was made for entertaining with open floor plan, Faneuil kitchen enhancement, high end stainless appliances, casual dining area & family room with "Jotul" wood stove fireplace. 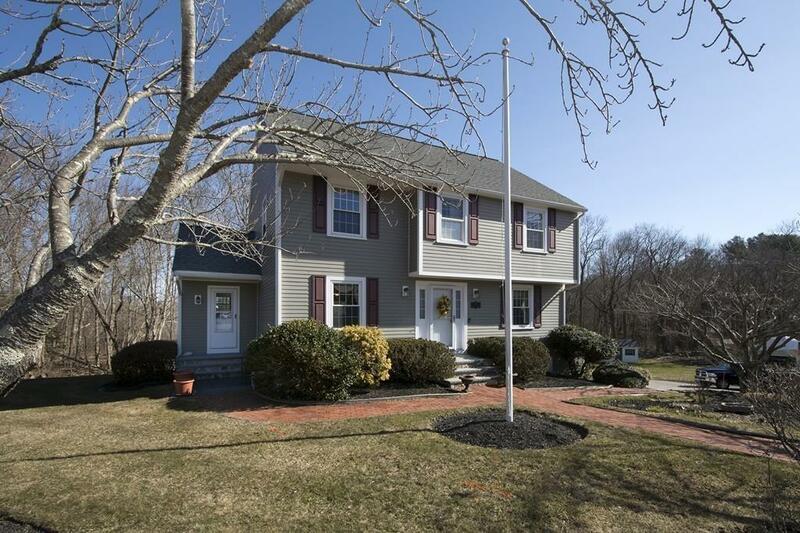 French doors to year round heated sun rm, Living room and formal dining room finish 1st floor. 2nd floor boasts 4 lg bedrooms-includes master w/Master bath, 3 more bedrooms, 2nd bath w/custom cabinetry and Jacuzzi tub.. Round it up with the finished basement that offers even more living area with a large den/office, /laundry and garage entrance. Extra bonus-whole house water filter and 5500 watt generator, new septic!